World War II was the time of the Big Band, and Americans all across the Home Front made their ways to performances at popular venues as well as listened to the newest hits on the radio by artists like Bing Crosby or groups led by Duke Ellington. Music kept people’s spirits high while husbands, cousins, friends, boyfriends, and other members of the family were off fighting to bring liberty to a world that found itself in a fierce battle. Music of the WWII era paralleled with the sentiments and proceedings of what was going on in the world. This hasn’t changed since. The only slight difference is that instead of 17 shined instruments, our musicians are found with guitars or mixes created with software on computers. Technology has changed the world of music, but what is has not touched is the sheer simplicity of an artist’s creation of songs that reflect the mood of the American public. 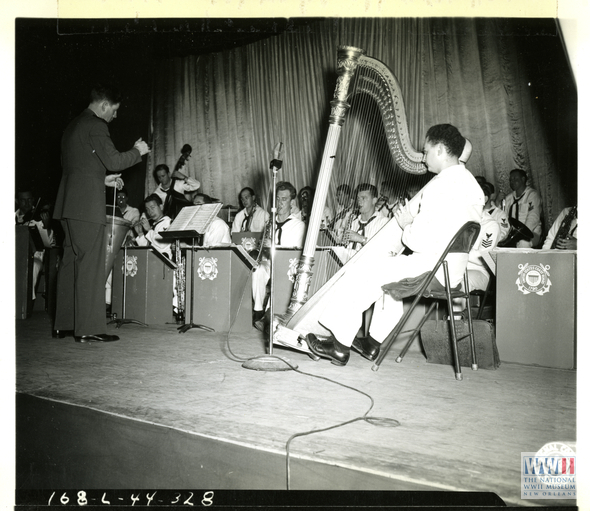 RUDY VALLEE CONDUCTING THE UNITED STATES COAST GUARD BAND WHILE ENTERTAINING TROOPS IN CALIFORNIA ON 30 JANUARY 1944. Jazz was a popular genre nationwide during WWII. Before US involvement in the war, themes of music centered on American isolationism and support for the Allied forces. A popular song by Jerome Kern and Oscar Hammerstein II titled “The Last Time I Saw Paris” was published in 1940. There are numerous versions of this song, but singer Kate Smith’s is one of the most well-known. The song creates a nostalgic feel of reflection for the beautiful city of Paris that unluckily fell to Nazi control earlier that year. As the war progressed in Europe, songs continued to focus on the disapproval of US involvement, but when Pearl Harbor was attacked on December 7, 1941, subject matters changed. Some songs called for scraps to be saved, collected, and donated while others encouraged enlistment. “We Did It Before and We Can Do It Again” by Barry Wood was released only days after Pearl Harbor. It is a rally song that convinced Americans they need not worry about fighting in a second war since they had already come out of WWI victorious. The upbeat attitude of the song was a hopeful disguise of the sentiment of worry most Americans were feeling. Elton Britton, a popular country music artist, released “There’s a Star Spangled Banner Waving Somewhere” in 1942 to reassure families who had lost loved ones in the war that a flag would always fly in their honor. There were also songs of love and of longing to reunite with loved ones. A well-known song that was released before US involvement in the war, but rose in popularity as more and more men were sent overseas was “I’ll Be Seeing You” sung by many artists, but most popularly by Bing Crosby in 1944. Music today carries the same value it did during the war. There are artists like Toby Keith who have released songs that remind Americans of our strength of a country as well as express gratitude to soldiers for their sacrifice. A few favorites of Keith’s among the American public include “American Soldier” and “Courtesy of the Red, White and Blue.” There are also songs today that expand beyond our military involvement with the Middle East and zoom in more on social issues happening stateside. “Same Love” released in 2013 by pop culture artists Macklemore calls for equality in the LGBT community. Whether it was 1940, is 2016, or any year in between, singers, songwriters, and composers have the job of creating songs that boost morale, open minds, or bring people together over a common cause. If you’re a fan of music and are looking for a new playlist to celebrate the weekend, check out the one below. Enjoy taking yourself back in time to the 1940s through these lyrics and beats. 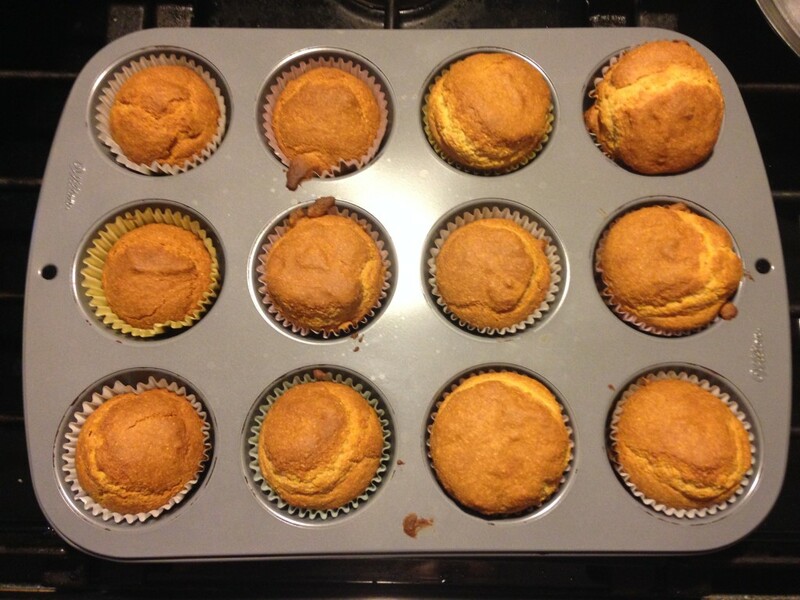 These days, making cupcakes or muffins or really any sort of dish, is simple. You raid your pantry, take a trip to the grocery store, and compile all ingredients you need without having to worry about limitations placed on the amount of, for example, sugar or eggs or milk that you choose to buy. This was not the case during WWII. Certain foods were limited during the war, especially those that were processed because they could easily be sent overseas to troops. 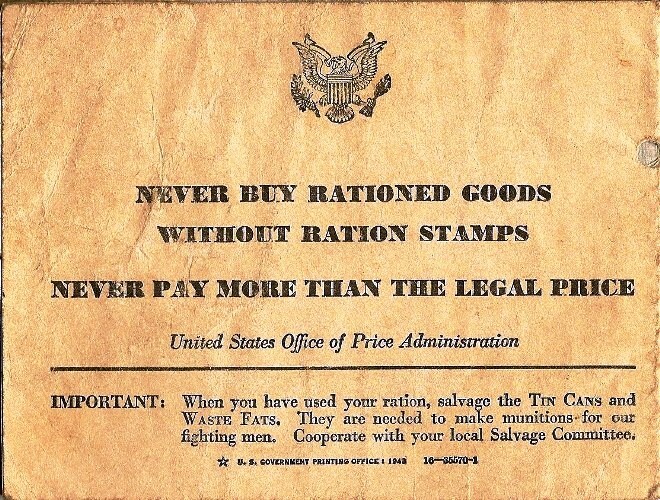 Families received ration books, and in each ration book were stamps that correlated with a particular food item. 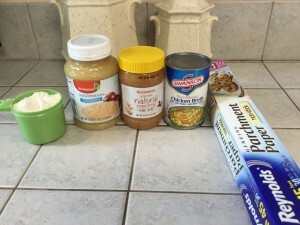 Each food required a certain amount of stamps in order to purchase it. Once a person ran out of their stamps, they had to wait until the next month to receive a new ration book. With this system came great responsibility, and families not only found their creative sides in the kitchen, but also learned to balance out their meals. 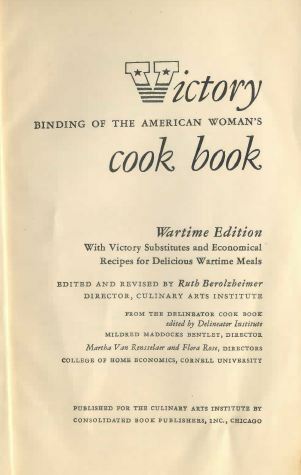 The cookbook that we’ve been using to pull recipes for “foodie” Friday, The Victory Binding of the American Woman’s Cook Book: Wartime Edition, holds weekly calendars in the back that lay out example plans of what meals families could eat each of the days during the weeks. 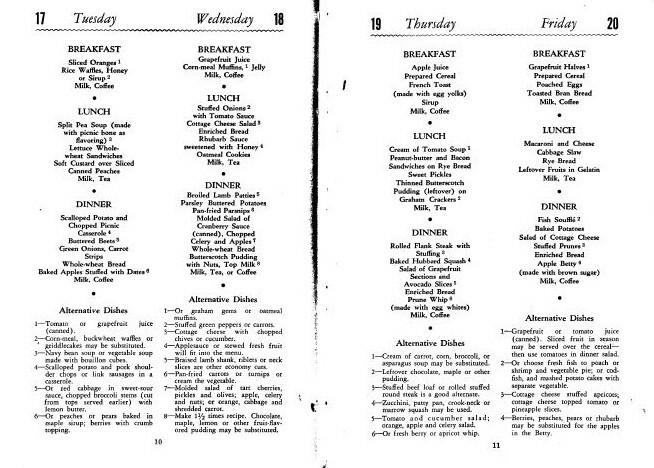 Example of the weekly layout of what families could eat for their breakfasts, lunches, and dinners. 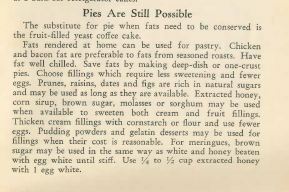 At the bottom of the pages are substitute meal ideas in case a family was missing ingredients or didn’t have enough ration stamps for a particular meal. 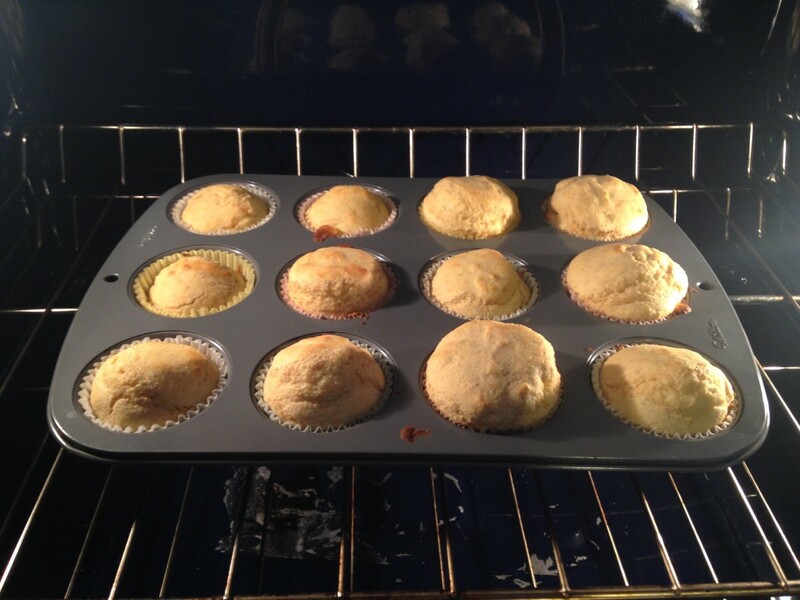 This week’s “foodie” Friday recipe from the American Woman’s Cook Book is for cornmeal muffins with, or without, jam. This is served as a breakfast. In the above photo, it’s listed as a breakfast item for Wednesday. 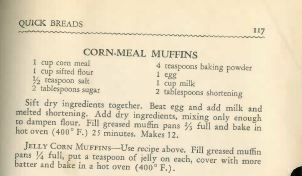 The recipe calls for sugar and an egg, both of which were rationed, but could have been purchased with your ration stamps. 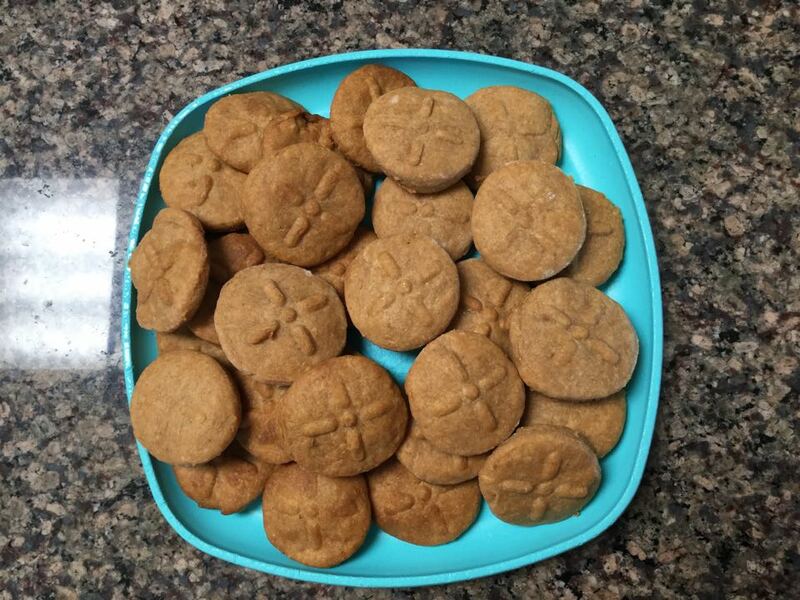 These can be served as breakfast for multiple days in a row since the recipe makes about 12. 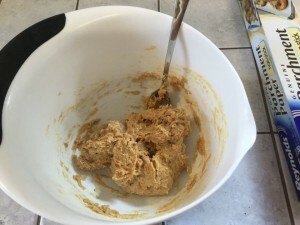 The muffins were a great dish because they lasted a while, so families could get a lot out of a recipe that didn’t call for too large of amounts from too many ingredients. It is simple, straightforward, and pleasing to the taste buds, so families on the Home Front ate this breakfast up and continuously participated in the fight for victory. 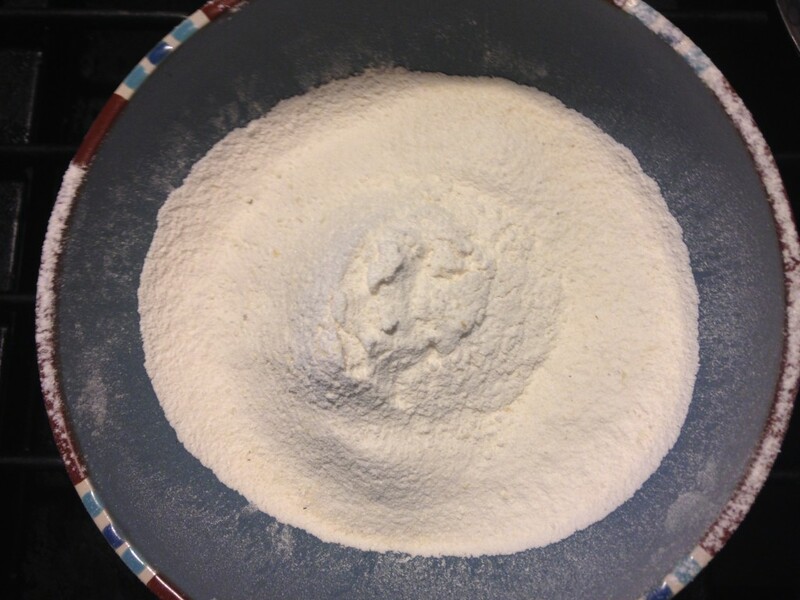 Step 2: Sift the corn meal, flour, salt, sugar, and baking powder together. Step 3: Beat the egg. Step 4: Add the milk and melted shortening to the beaten egg. 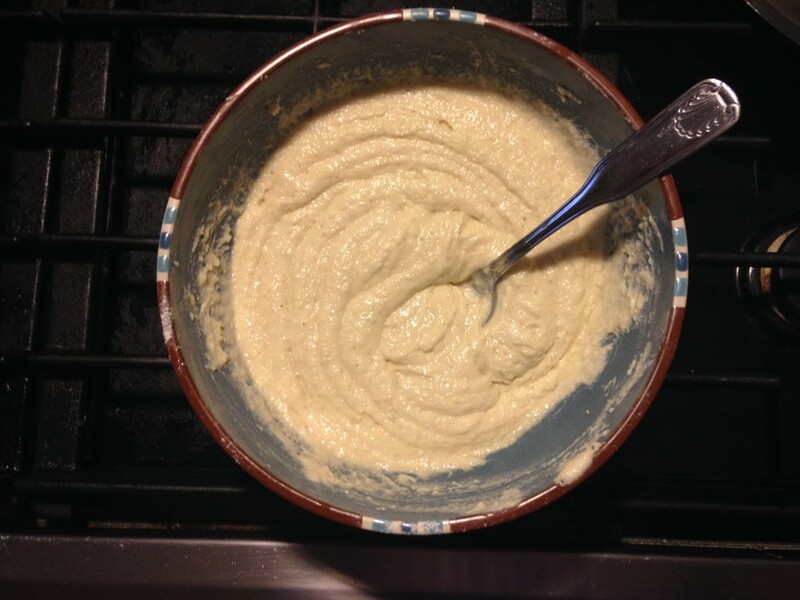 Step 5: Mix together the dry ingredients with the egg mixture. 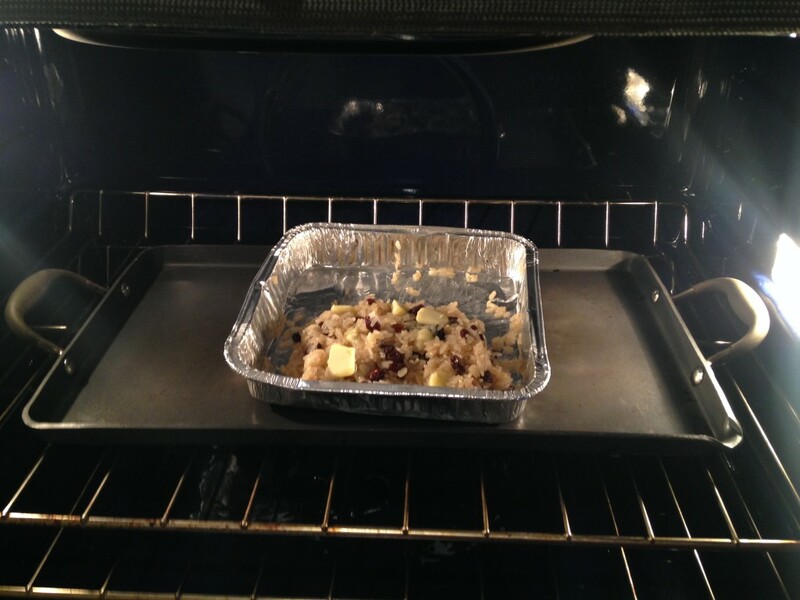 Step 6: Bake for 20-25 minutes. Taste tip: Spread some jelly on them for a touch of sweetness. 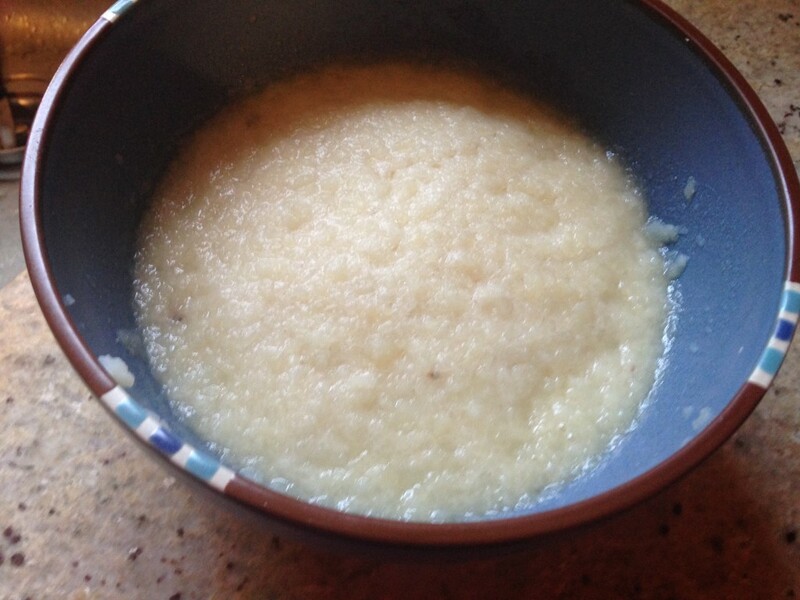 Civilians on the Home Front made this breakfast their jam, no pun intended. As a way to relieve the stress and nerves of soldiers, numerous charities and organizations held events to offer them an escape from training and their inevitable thoughts of war. In the Broadway Theater District of New York City, the American Theater Wing, a volunteer organization, opened the Stage Door Canteen. This was a club that offered a wide variety of entertainment and food to servicemen. If you’re wondering what it was like to attend the Stage Door Canteen, check out BB’s Stage Door Canteen here at the National WWII Museum and take a trip back to the time of big band and red lipstick. 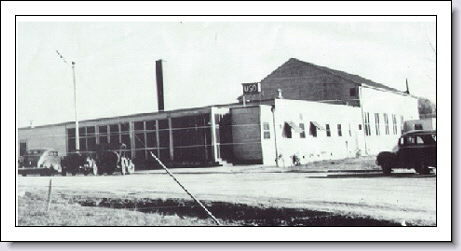 In February of 1941, President Roosevelt started the United Service Organization for National Defense (USO). It is a nonprofit that still holds events today and aims to keep the morale of soldiers high. The USO offers a wide variety of services, and during WWII their clubs hosted many popular events stateside, all of which were relevant to the interests of their community. Some areas may have had a USO club that offered live music or sporting events to entertain soldiers, while others may have had a daycare service for mothers who found themselves working their husbands’, brothers’, and friends’ industrial jobs on the Home Front. Photo courtesy of Franklin Delano Roosevelt Library. The USO holds a special place in Louisiana’s heart because the first USO house was built in DeRidder, LA. It stands today as a building that commemorates the work volunteers from the Home Front did to make sure their boys could experience a good time and take a break from the unfortunate reality of war. There were numerous soldiers all over DeRidder, so this was the perfect place to open a club. Americans on the Home Front volunteered their time at the USO houses to help soldiers, for example, write a letter, while others may have worked in the kitchen, cooked meals, and served plates. At DeRidder USO house, the events with the most people in attendance were the dances that were held at least three nights a week. Chaperoned female students from the University of Lafayette would bus over to DeRidder in formal gowns and tag dance through the night with different soldiers. Gatherings like these reminded the soldiers that their country stood with them. The DeRidder USO House. Photo courtesy of Beauregard Tourism. The USO is still a very relevant organization today. It constantly reminds us to support our troops, wherever they may be stationed in the world. Along with the strong volunteer support from the American public are celebrities, especially singers, who have also dedicated their time and put their talent to good use. Some, like the late Robin Williams and country artists Toby Keith, have made trips as a part of the USO Overseas Service to bring comedy, music, or a piece of home. 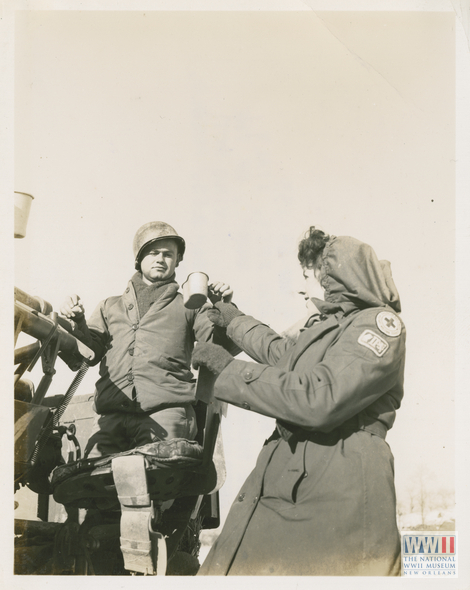 The Overseas Service was offered during WWII as well and events like these were, and still are, what allow our troops to connect with home, and reassure them that we stand by their service. 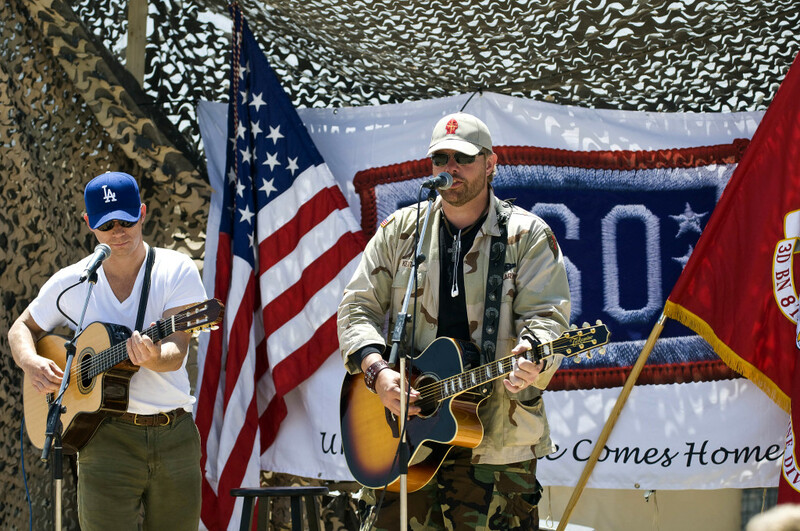 Toby Keith in Afghanistan via United States Department of Defense. 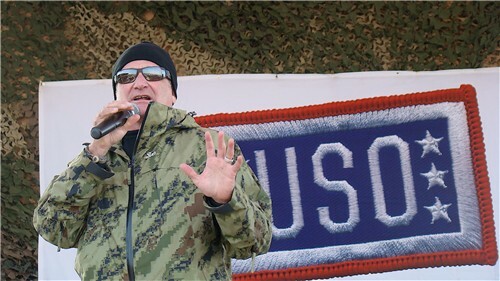 Robin Williams on USO Tour via World Net Daily. As was the fashion of the time, soldiers showed up to these USO events in uniform. 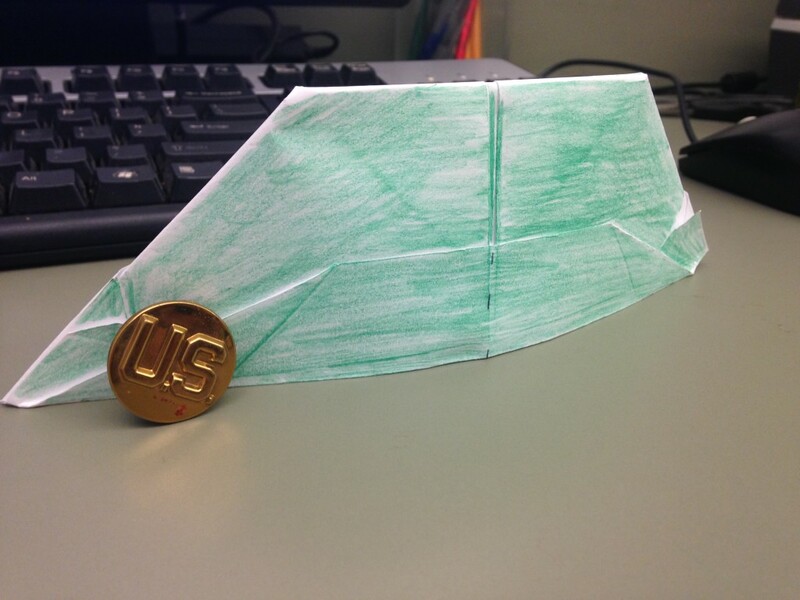 With the WWII infantry uniform came a hat, and below you can attempt to make your own WWII origami infantry cap. 1. Find yourself a piece of newspaper, or a simple 8.5 inch by 11 inch sheet. Color of your choice. 2. 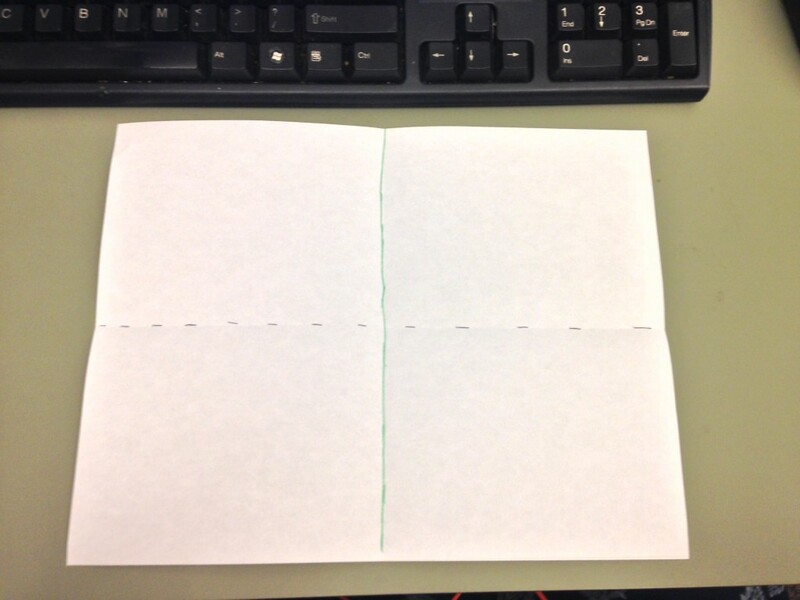 Fold the paper in half on the vertical axis. 3. 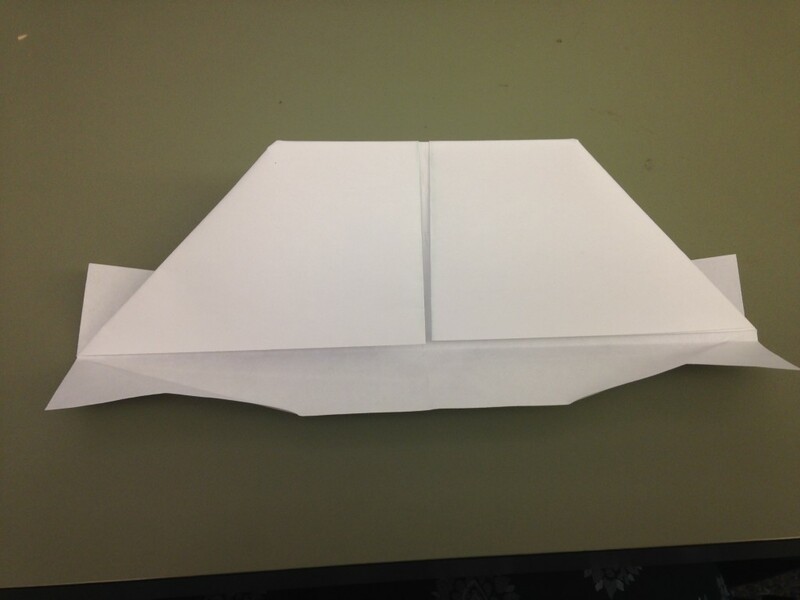 Fold the paper on the horizontal axis. 4. 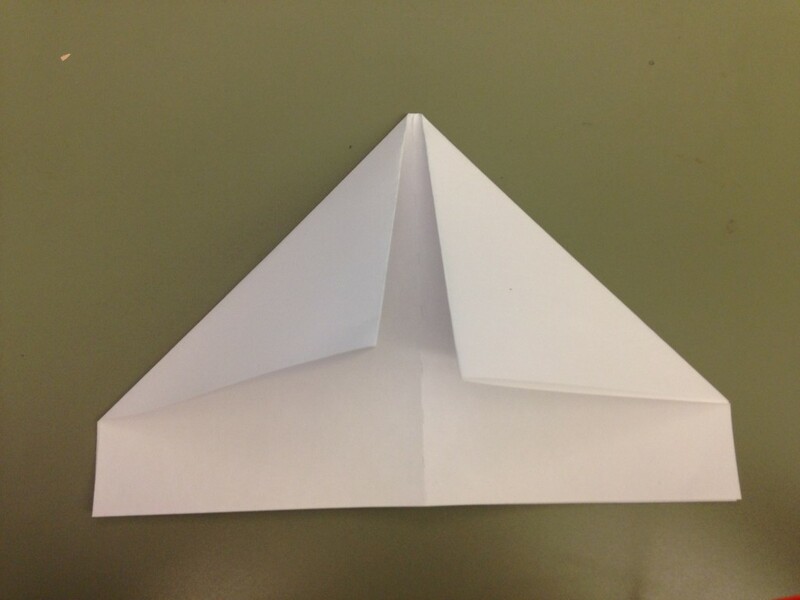 Fold the right and left corners to the center of the page. 5. 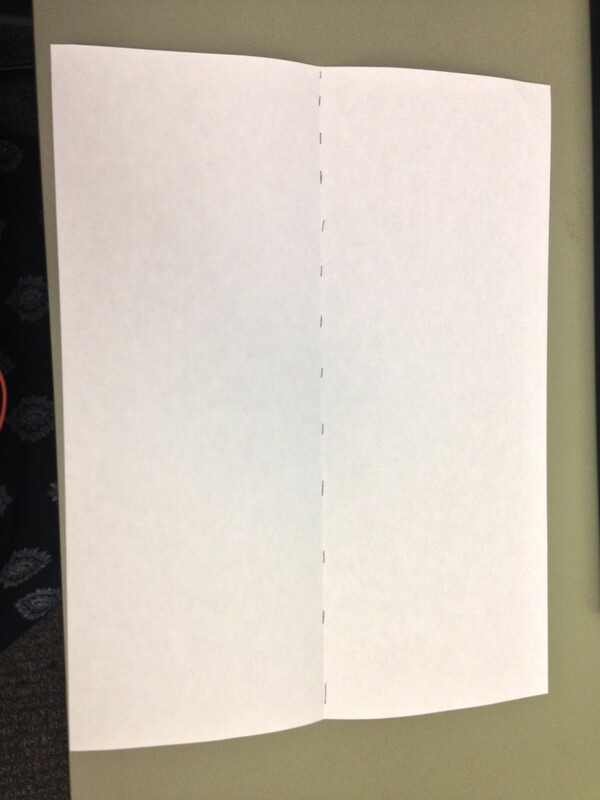 Fold the horizontal strip upwards. 6. Flip the paper over. 7. Fold the tip downward so that the point meets the middle. 8. 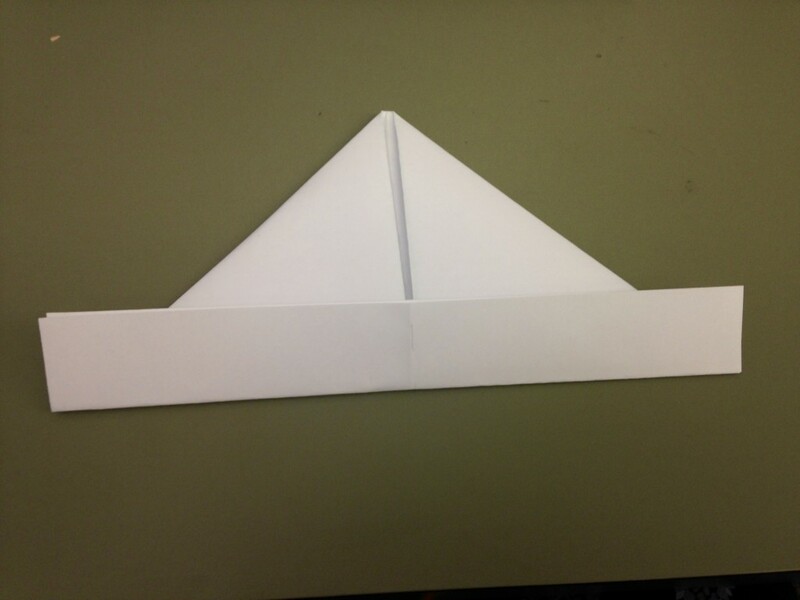 Fold the horizontal strip (bottom part of the hat). One side gets folded upward and will lay over the tip. 10. 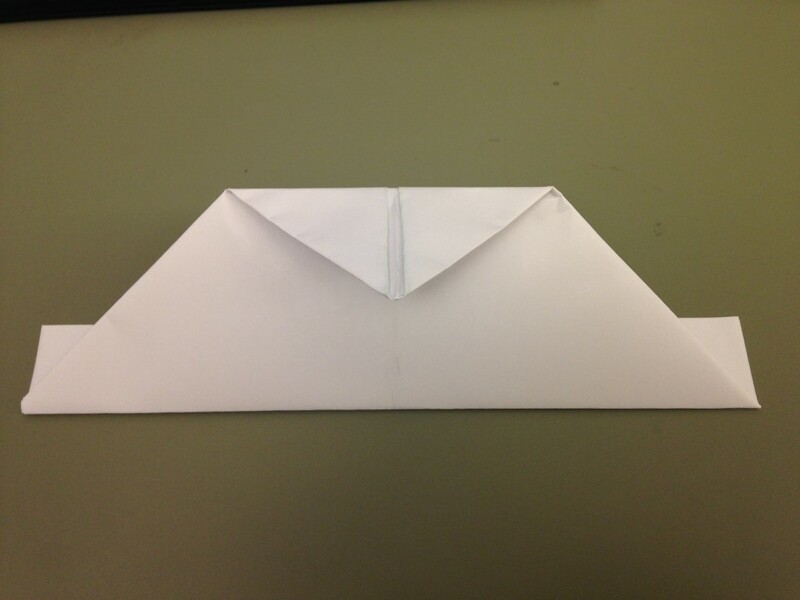 Fold the bottom half up and over the folded corners. 11. Add some color or a pin or patch of your choosing, and there you have it. An infantry cap. 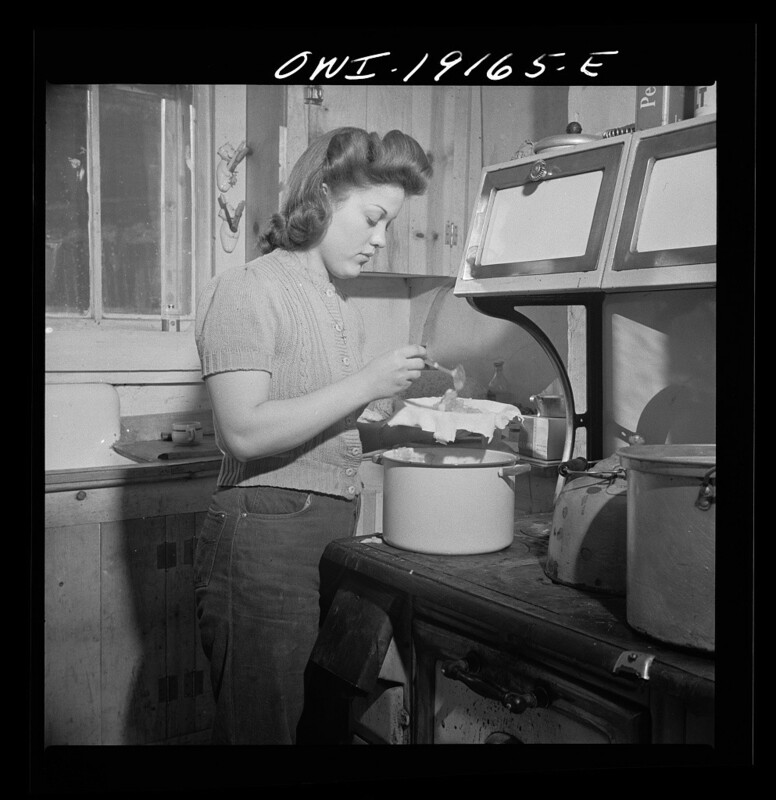 To keep the past alive, and to add some different foods to weekly meals and flavor to our posts, there will be a few Home Front “Foodie” Fridays in which we share our experiences cooking a WWII ration meal from The Victory Binding of the American Woman’s Cook Book: Wartime Edition. 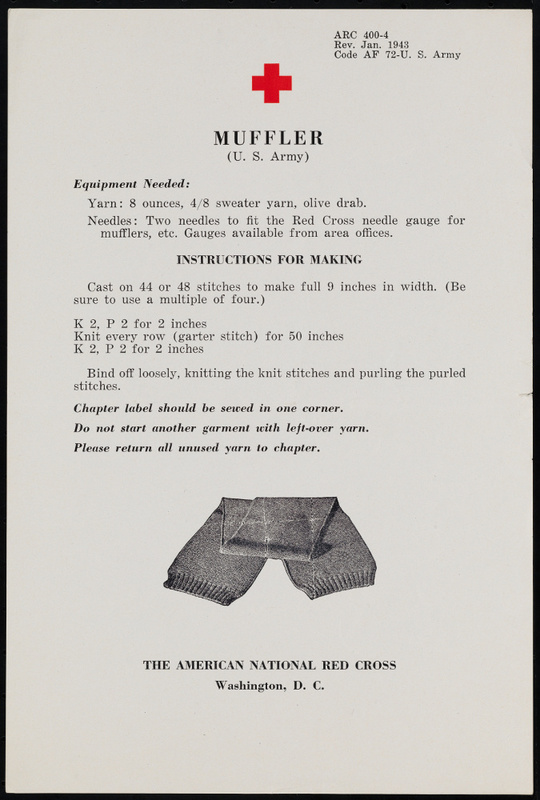 This cookbook was published during the war with substitutes and economically friendly recipes for wartime meals and holds over 400 pages of different recipes. There is also a section at the end of the book dedicated to a weekly layout of how a family of five could be fed on $15 a week. Front page of the Victory cookbook. Since food was highly valued during WWII, a lot of different ingredients were rationed. The first of these foods was sugar. 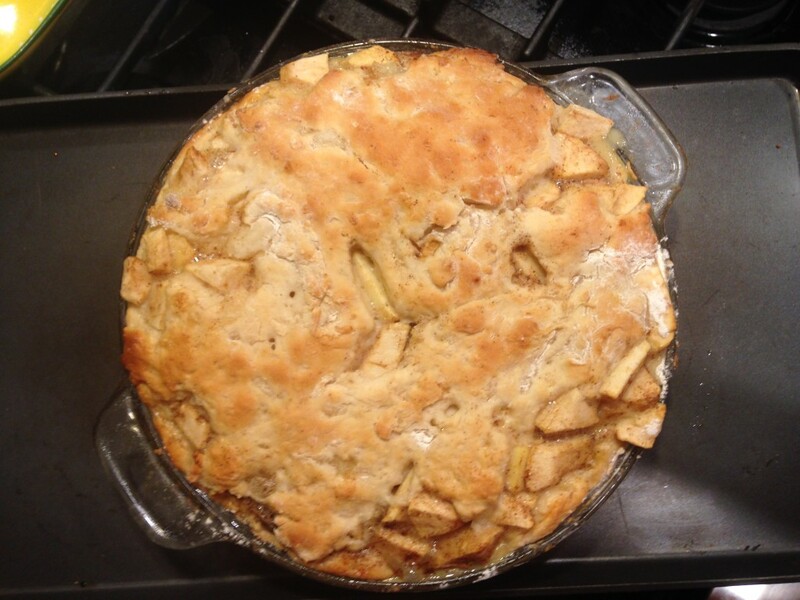 Its rationing began in the spring of 1942, and many recipes had to change. 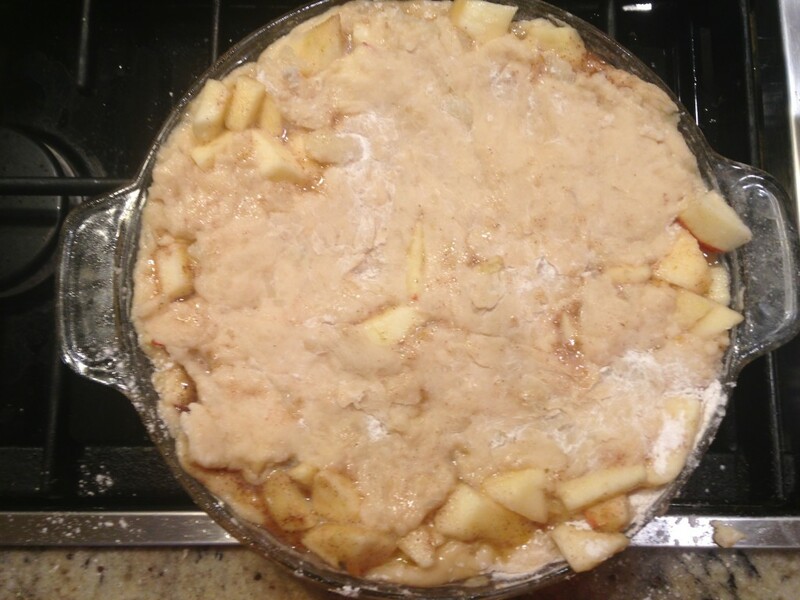 Whether in the home or at a restaurant, whomever prepared the meals needed to find a way to replace ingredients like sugar with a substitute that tasted just as good if not better. 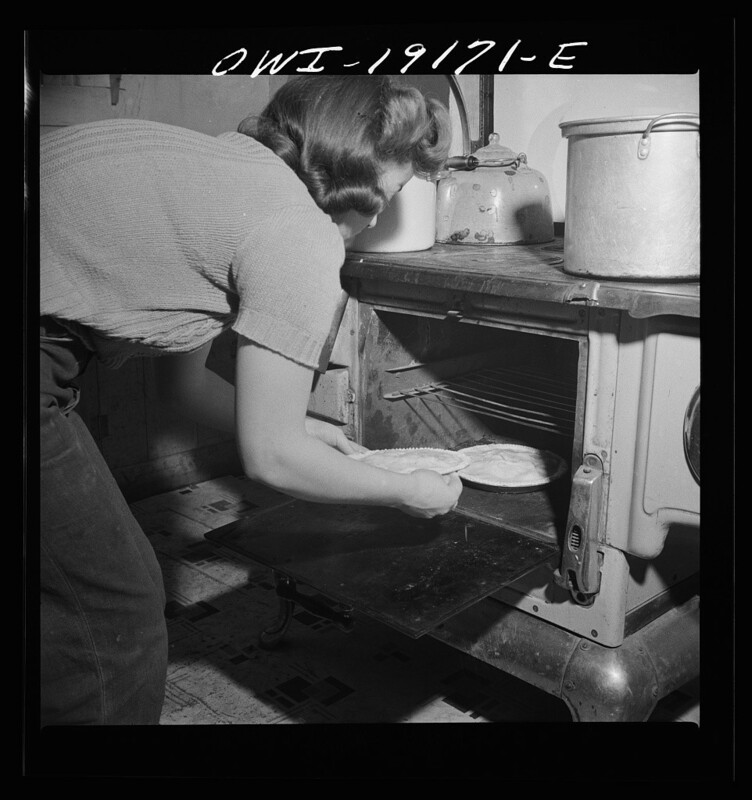 In the case of sugar, items like honey, maple syrup or corn syrup were used. If honey was used in place of sugar, the recipe would call for half the amount of honey as it would sugar as well as a quarter less amount of water. WWII ration propaganda poster. Photo courtesy of the National Archives. By rationing these goods at home, the troops overseas were able to receive items like sugar, flour, and coffee as seen in the photo below. Elaborate foods were not supported during the war, so people stuck to simple dishes. 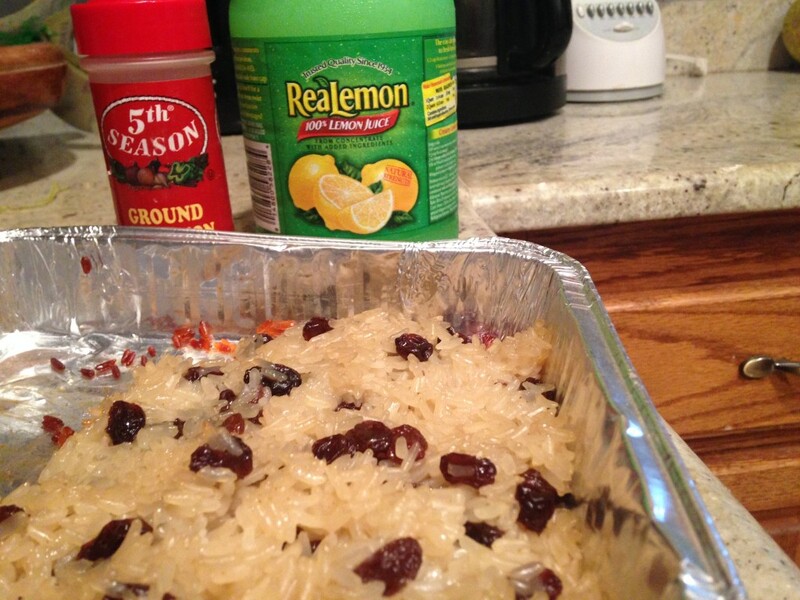 The following recipe for Honey Rice is categorized as a dessert in The Victory Binding of the American Woman’s Cook Book: Wartime Edition. 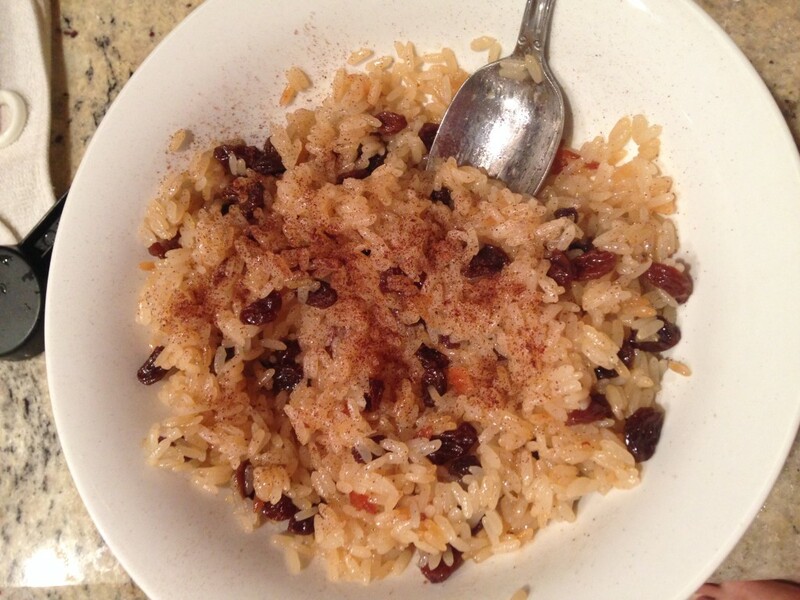 Simple to make, easy on the budget, and delicious for the taste buds, honey rice is just one example of the types of desserts people were eating on the Home Front during the war. 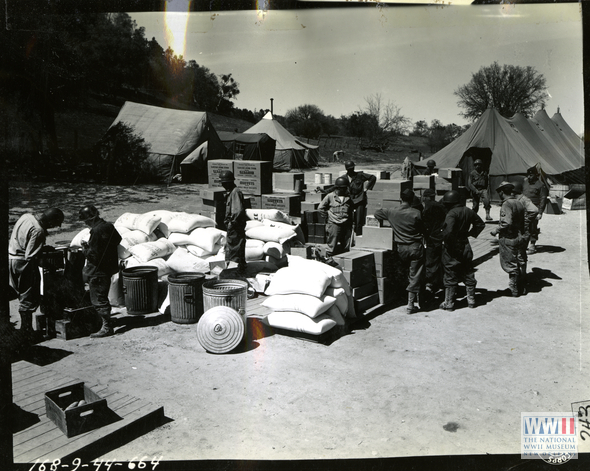 Flour, sugar, coffee, rice, cookies, and canned goods are distributed after ration breakdown at Hunter Liggett Military Base on 24 March 1944. 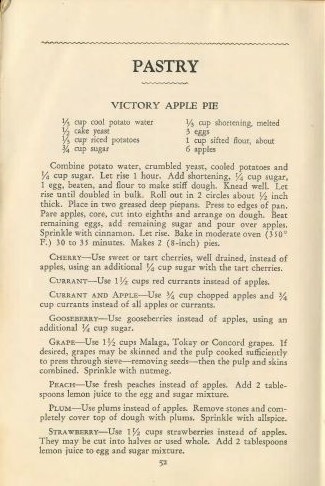 Recipe in The Victory Binding of the American Woman’s Cook Book: Wartime Edition. Step 2: Cook the rice in boiling salted water until soft. Drain the rice. Step 3: Heat the honey in a heavy pan until it’s not as dense. 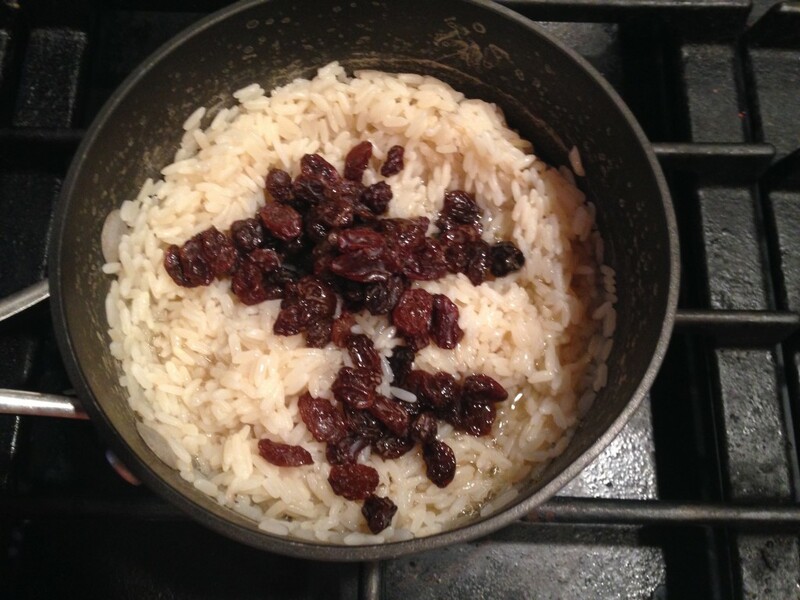 Step 4: Add the honey and raisins to the cooked rice. 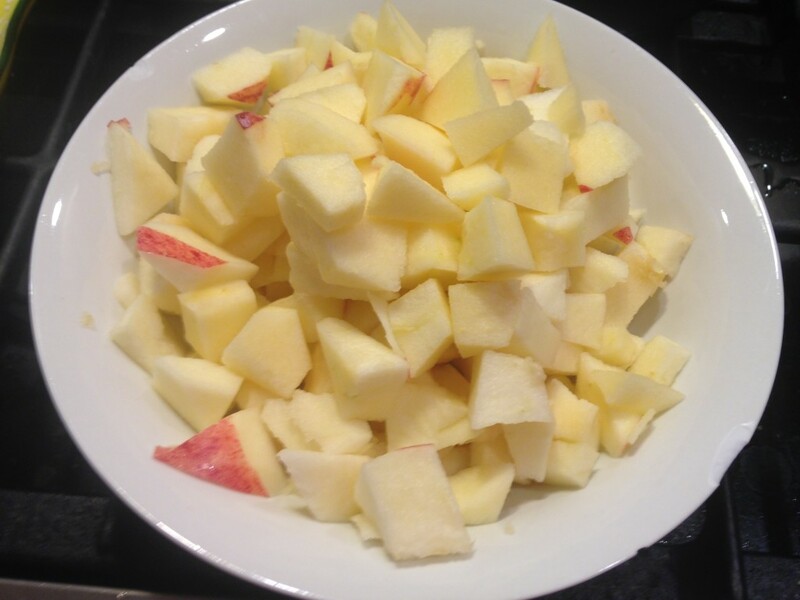 Stir and let these cook for 5 minutes. 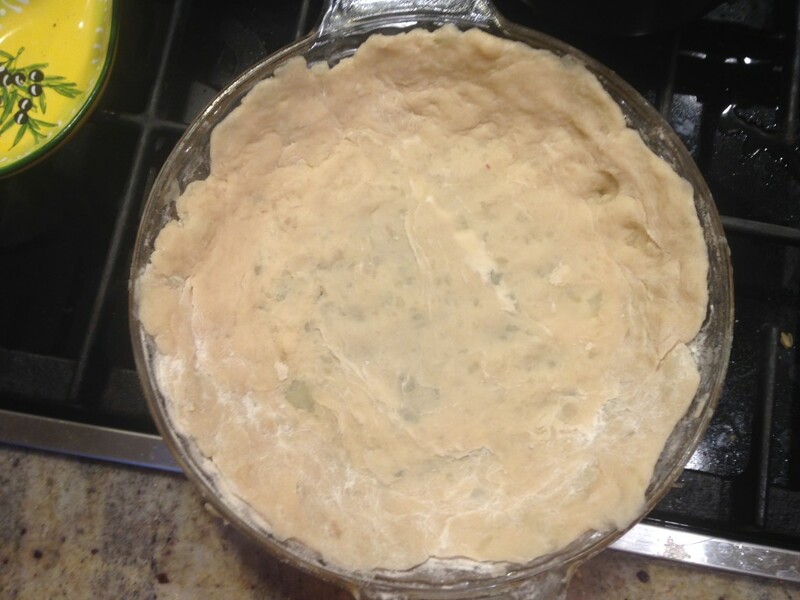 Step 5: Pour the mixture into a buttered, shallow baking dish and dot it with butter. 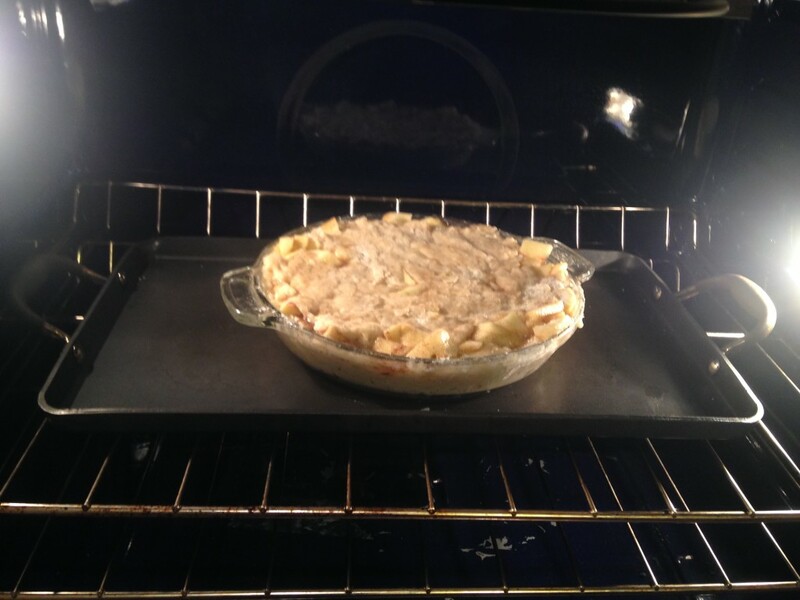 Bake in over until the rice is golden brown. 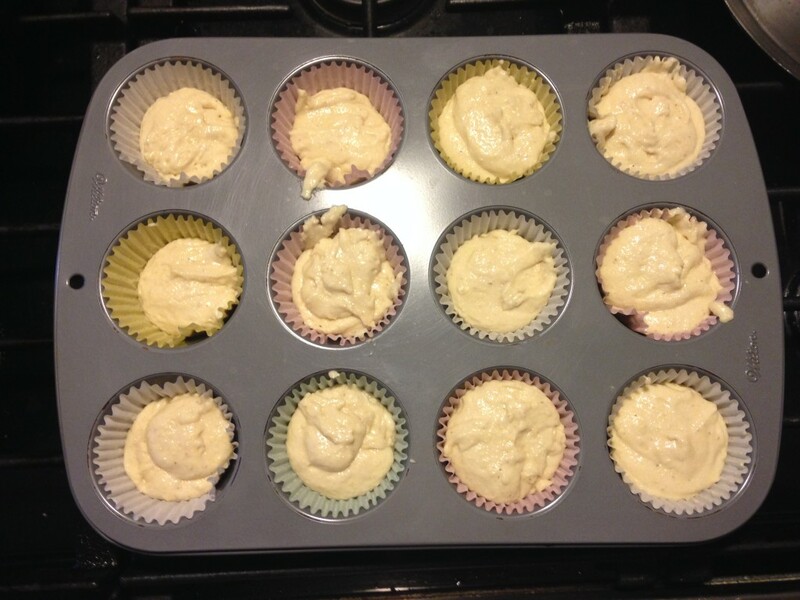 Step 6: Remove from oven and stir in the lemon juice and vanilla. 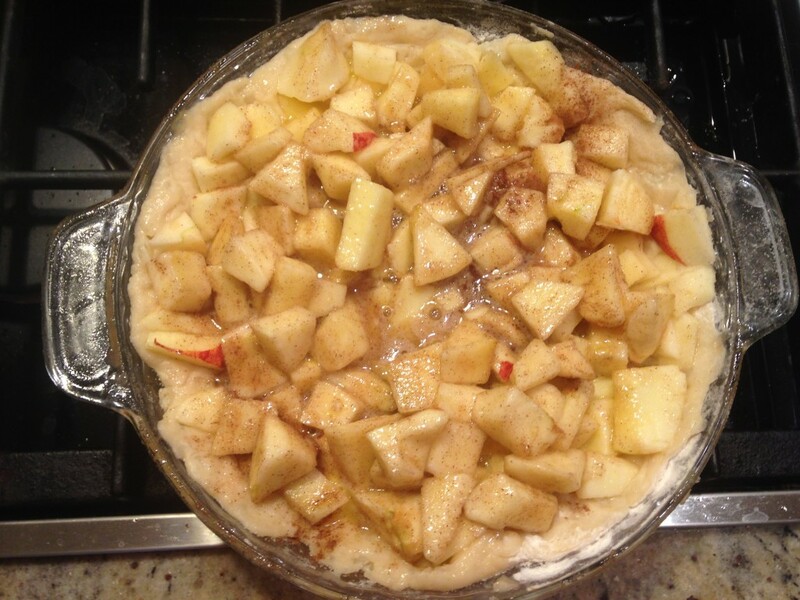 Step 7: Top it with cinnamon and chopped nuts. 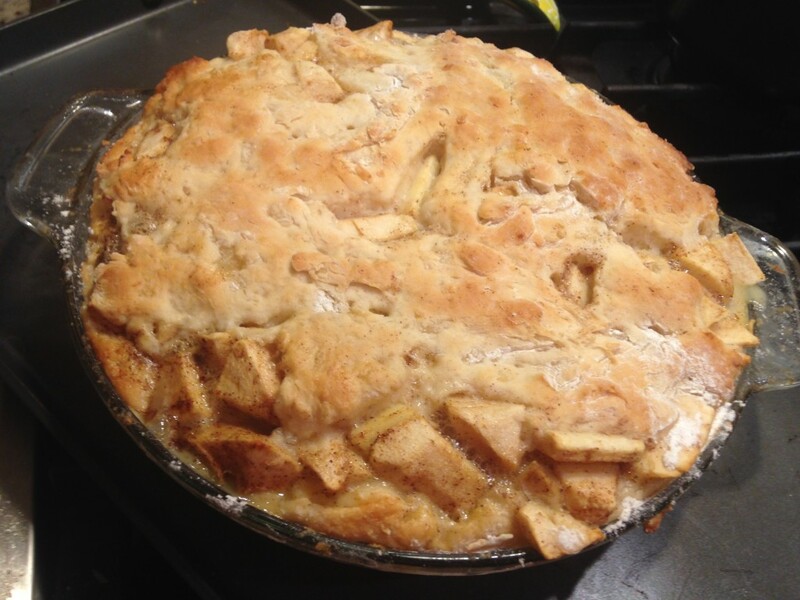 This recipe will serve about 8 people. It is a dessert plate, but I paired it with some sauteed chicken, and it was the perfect balance of sweet and savory. There seems to be a holiday for everything these days. Along with federal holidays, there are those that observe friendships or different foods and have your timeline blowing up with shoutouts and hashtags. July is a month supposedly dedicated to the celebration of hot dogs. This traditionally German dish has a history of bringing friends, family, and diplomats together, while its homeland, unfortunately, has a history of causing disruption and a world war rather than unification. The National Hot Dog Summit of 1939 took place from June 8 through June 12 and King George VI of Great Britain became the first monarch from our previous motherland to step foot in the United States. President Roosevelt aimed to change the American feelings from anti-British to acceptance, and that he did. 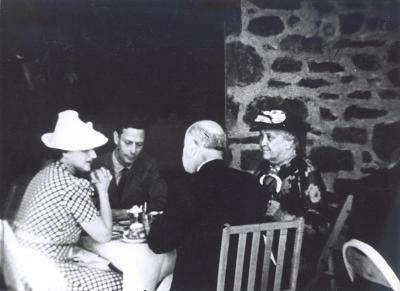 The Hot Dog Summit, also known as the British royal visit, welcomed King George VI and his wife, Elizabeth, to Washington, D.C. for two days before they made their way up to Hyde Park, New York for an escape from the hustle and bustle of the politically active city life of the nation’s capital. 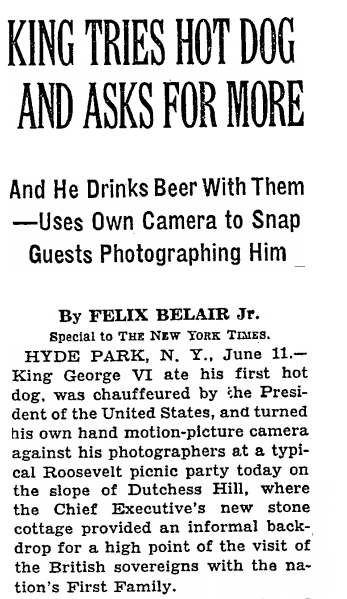 A picnic was held at the Roosevelt’s home in Hyde Park and none other than hot dogs were served. They also offered fancier items, but hot dogs were all the rage. The image of the King and Queen eating a hot dog really stuck out to the American public because they were seen more as regular people rather than pretentious rulers. America was able to stay neutral for some time after this conference while supporting Great Britain both diplomatically and financially as they declared war against Germany in September of the same year. If you’re interested in learning more about the National Hot Dog Summit, catch up on some more information here. Photo courtesy of FDR Library’s Digital Collection. The hot dog has its origin from the Frankfurter of Germany that was brought to the U.S. by German immigrants. It is unusual that two Allied countries found their common ground and relationship over a food from the country that they would both fight against. 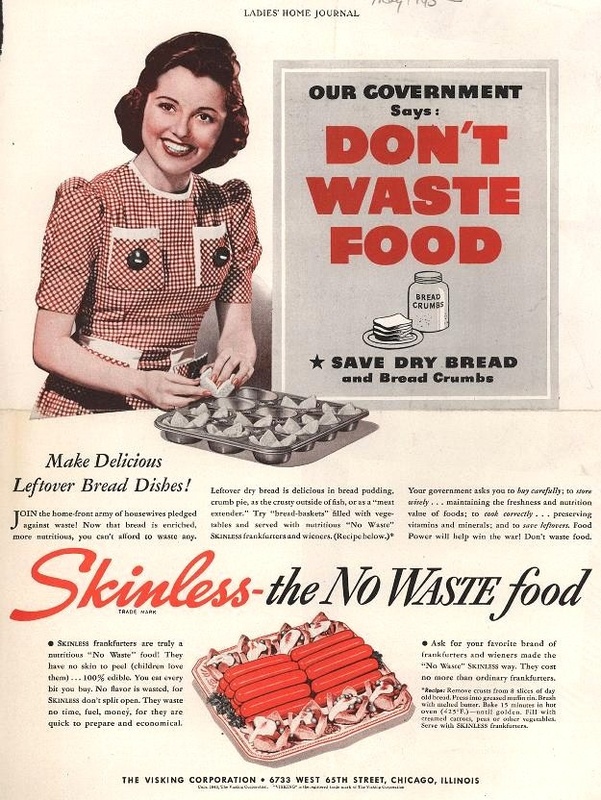 Two years later, in 1941, when the U.S. joined the war, the government started to encourage civilians to eat skinless hot dogs or Frankfurters because they were a no waste food due to their lack of casing. Both the National Hot Dog Summit and the encouragement to eat hot dogs were quite frankly ironic during WWII because on the Home Front, a German item unified people, but in Europe, some German items divided. 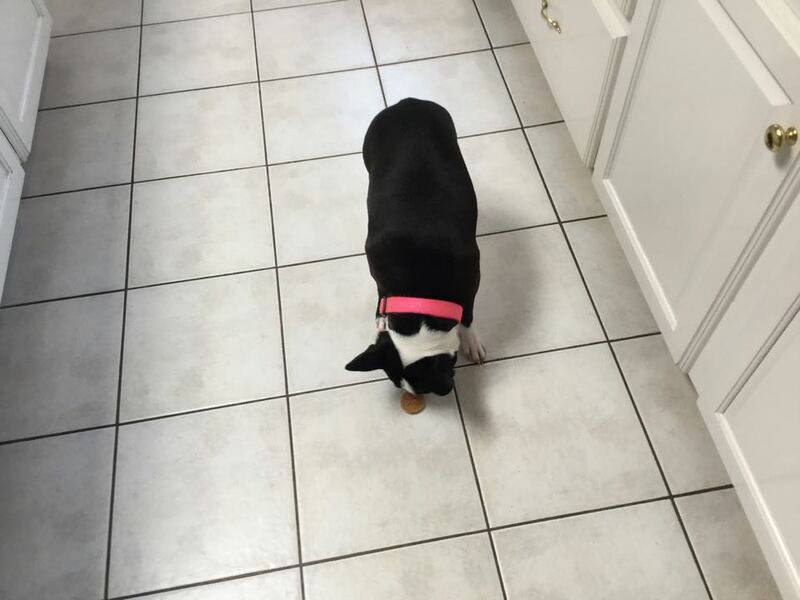 Since July is reaching an end, you should enjoy the last couple days of your month with a hot dog in hand to honor the role the food played on the American Home Front, or to just embrace its pure deliciousness. Nacho Dog: Shredded cheddar, guacamole, pickled jalapeno, and crushed tortilla chips. Chili Dog: Chili and shredded cheddar. Bacon wrapped hot dog topped with avocado, tomato, onion, and potato chips. Muffuletta Hot Dog: For you New Orleans people. Mac&Cheese Dog: Coat it with cheesy noodles for a happy treat. 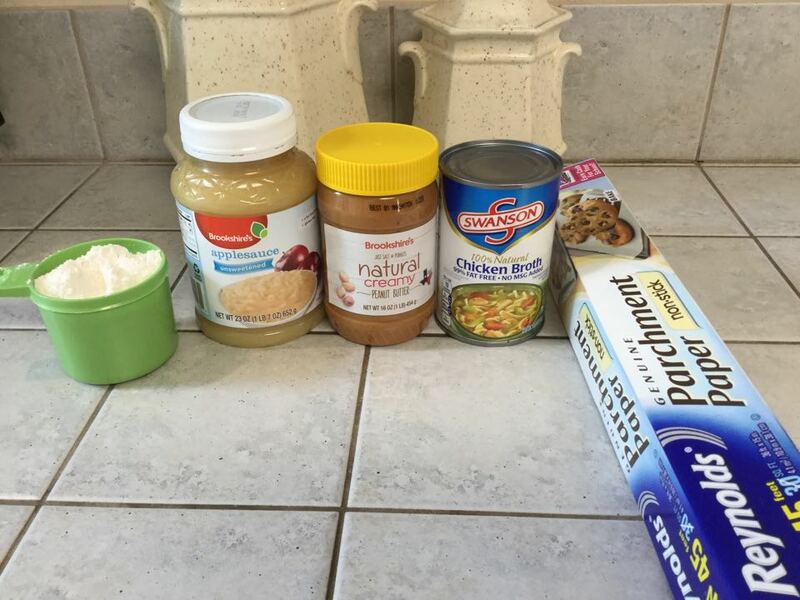 Follow this link for a 7 layer recipe that seems too good to be true. Breakfast Dog: Fried Egg, Bacon, Chopped Onions, Ketchup, Hashbrowns. A true morning meal. We live in a day and age where merely one cup of coffee will not suffice to give you the caffeine boost you need for your workday. 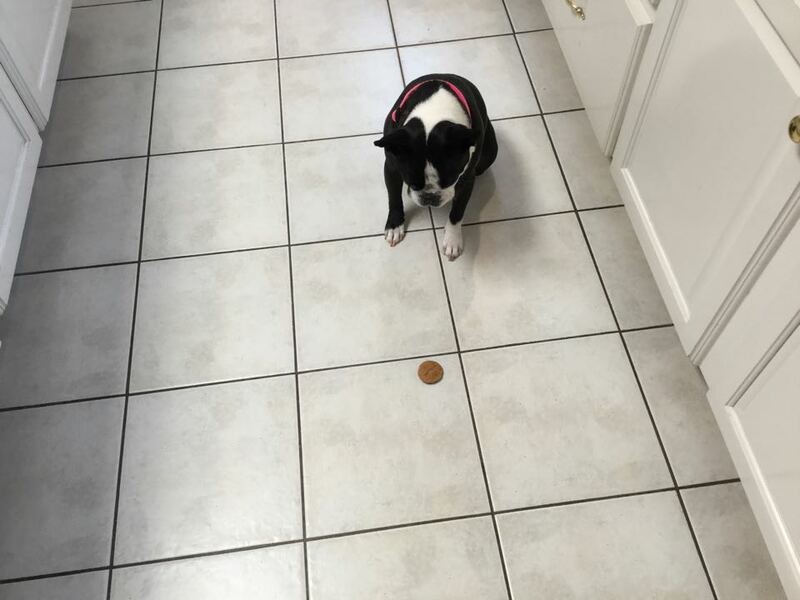 This addiction is not a new trend, though. Our fellow Americans were craving a second cup of jo’ long before the era of World War II, as well as during. Coffee was, and is, not simply a drink, but rather a way of life. It brings people together, today, at cafes to catch up with old friends, make new friends, or finish a great book. During early WWII up until April 1942, First Lady Eleanor Roosevelt held a popular radio show called, “Over Our Cups of Coffee.” She discussed current events with the American public through the radio, with the goal in mind to share the discussion over a cup of coffee, as is implied by the name of the show. It was only a matter of time before this popular drink was soon added to the list of items that needed to be rationed. War ration book that holds stamps to buy coffee. Coffee stamps, as well as stamps for other rationed items. On November 29, 1942, the rationing of coffee commenced and people quickly learned how to creatively extend the life of their grounded beans. Coffee experienced cuts because a majority of ships needed to be used by the Navy, and merchant ships traveling from the South American and Latin American countries that grew coffee beans were in too much danger of attack by German U-boats that patrolled the open waters. Also, soldiers fighting in the European and Pacific Theaters relied on coffee for boosts of energy during their long days and nights. To learn more about the time span of coffee rationing, check out this article. 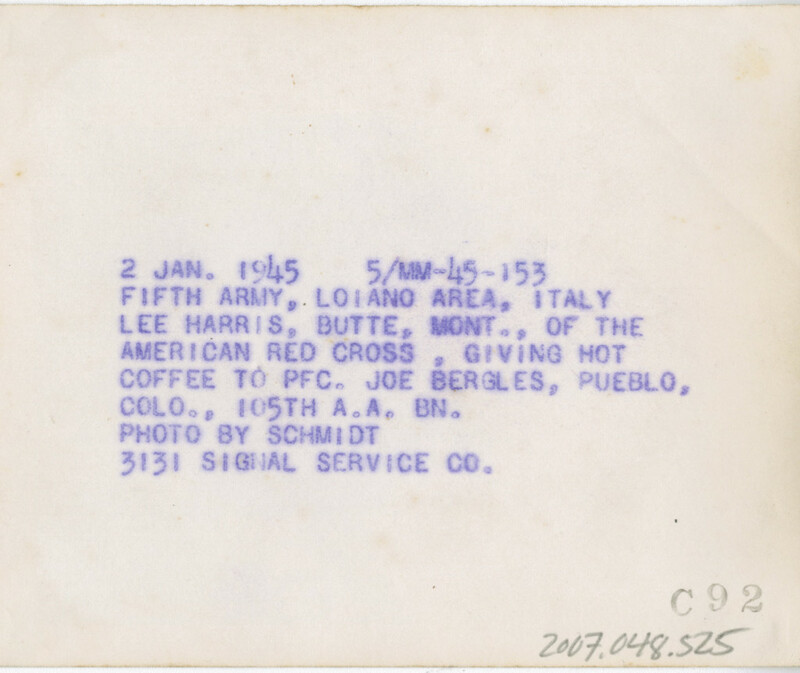 Lee Harris of the American Red Cross offers coffee to Private Joe Bergles in Loiano, Italy on 2 January 1945. Description of the above photo from the collections of The National WWII Museum. Newspaper articles were published as well as write ups in LIFE magazine to give ideas to people of how they can get more drink out of their bean. One of the suggestions made was to add chicory to their supply of coffee for the week. The hot commodity added to New Orleans coffees today was used by Americans on the Home Front to create a larger blend and to add a hint of flavor. This ad from the Pan-American Coffee Bureau informs people that the cuts on coffee are due to shipping problems. It goes on to remind people that coffee is too good to waste. Little to our surprise, coffee rationing was not so popular, so when President Roosevelt removed it as one of the first items to come off of the ration list in July 1943, coffee consumption found itself at a new high a year later. Distance does truly make the heart grow fonder, and in this case, the heart was in dire need of fulfilling its coffee craving. When you are met with extra coffee in your pot on your way out the door to go to work, what can you do with it besides dumping it down the drain? There’s always the option of a to-go cup, but think of all the ways you can salvage the perfectly usable drink just as our Home Front citizens had to during a period of constantly working to save, reuse, and recycle. Coffee Ice Cubes: pour the coffee into a tray and let it freeze. Add them to your iced coffee in the morning or enjoy a popsicle. Store it in a pitcher and put it in the refrigerator to have a cup of iced coffee the next morning or later that day for an early evening pick me up. Coffee Brownies: next time you make this chocolate-y dessert, use your left over coffee instead of milk for a distinct mocha taste. Stain white paper for an antique look. “Coffee” acid loving plants are real. These include Holly, Azaleas, and Japanese iris, just to name a few. Hot Chocolate with coffee instead of milk: sweet and savory in a single warm cup. If you add coffee to your pot roast, it makes the broth richer. Today is National Take Your Dog to Work Day, in honor of our favorite furry friends who have been by our sides for centuries! 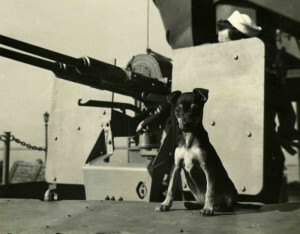 World War II was no exception to our dogs’ special companionship. 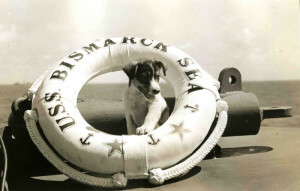 Many American animals were enlisted in the war effort alongside their humans. These service animals became known as the Loyal Forces, and were utilized by every branch of the U.S. military, with 20,000 dogs serving in the war. The Loyal Forces provided a variety of services. War dogs were trained to sniff out bombs, carry messages, act as scouts, and boost morale for servicemen. 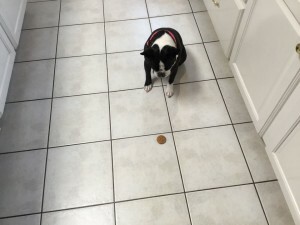 Many of them were pets volunteered by their owners for services such as Dogs for Defense. 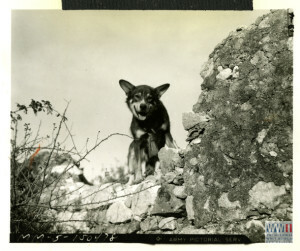 Chips: This German Shepherd-Collie-Siberian Husky mix was the most decorated dog of World War II. Chips saw action in France, Italy, North Africa, and Germany, and even served as sentry for the Roosevelt-Churchill conference in 1943. He helped take 10 Italians prisoner after escaping from machine gunners during the invasion of Sicily. He was awarded the Distinguished Service Cross, Silver Star, and Purple Heart; however, these awards were later revoked due to an Army policy preventing official commendation of animals. His unit later unofficially awarded him 8 battle stars for his campaigns. His story was later adapted into a TV movie by Disney. Smoky: Smoky was a little Yorkshire terrier found by an American soldier in a foxhole in New Guinea. She was sold to Corporal William A. Wynne, who carried her in his backpack throughout the Pacific. Wynne credited Smoky with saving his life by warning him of incoming shells – she warned him to duck just as enemy fire took out eight men standing next to Wynne. Smoky was also used to run a telegraph wire through a narrow pipe, a feat which saved 250 ground crewmen and kept 40 planes flying. Smoky has been awarded numerous medals and has had many memorials dedicated to her throughout the United States. Judy: Judy was a Pointer that served aboard the HMS Grasshopper and HMS Gnat, where she was able to provide advanced warnings for enemy fire. When the Grasshopper sank, Judy was able to find water for the surviving crewmen on a nearby deserted island. 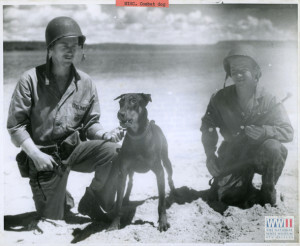 Judy and the survivors eventually became prisoners of war, where Judy was listed as an official POW – the only dog of World War II to be listed as such. While being held prisoner, Judy saved several passengers aboard transport ships from drowning. Click here to learn more about animals during the war and read an excerpt from Lindsey F. Barnes and Toni M. Kiser’s Loyal Forces: The American Animals of World War II! 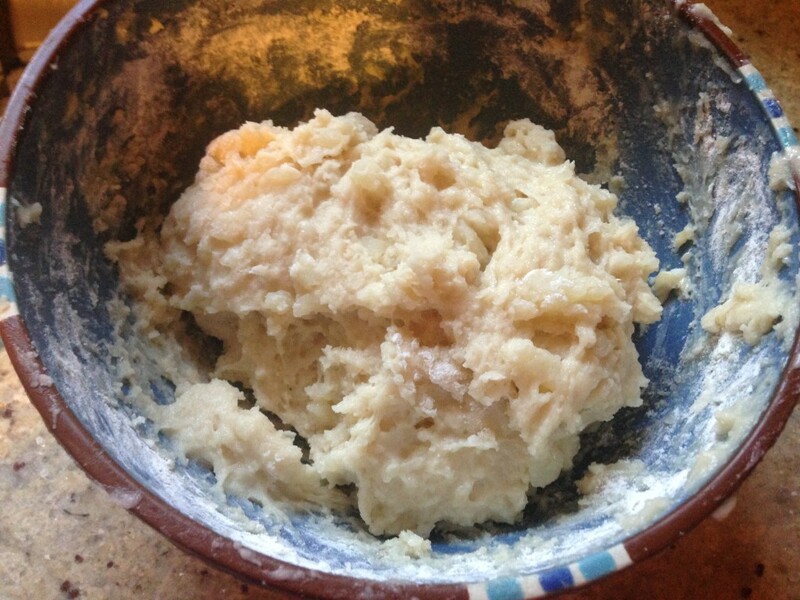 Place dough ball on a flat service (with a sprinkle of flour if needed) and roll out evenly with a rolling pin. 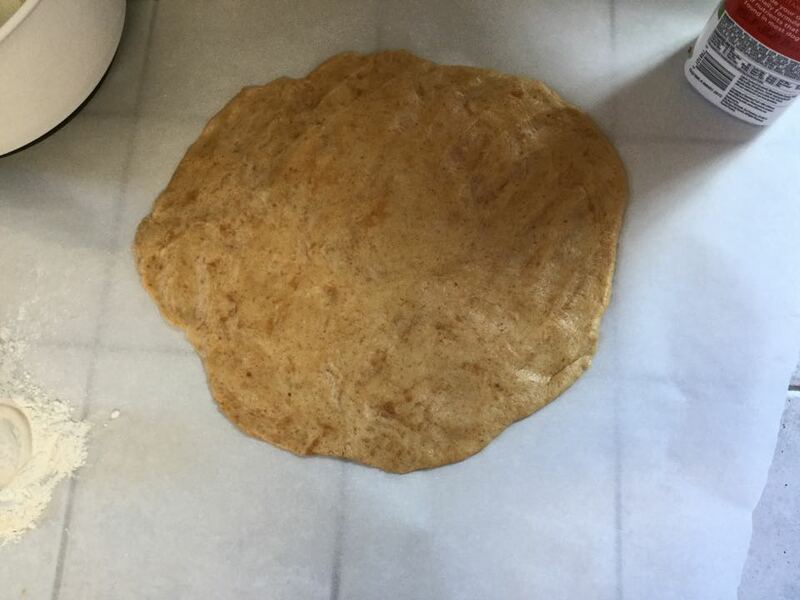 Dough should be about ¼ inch thick. 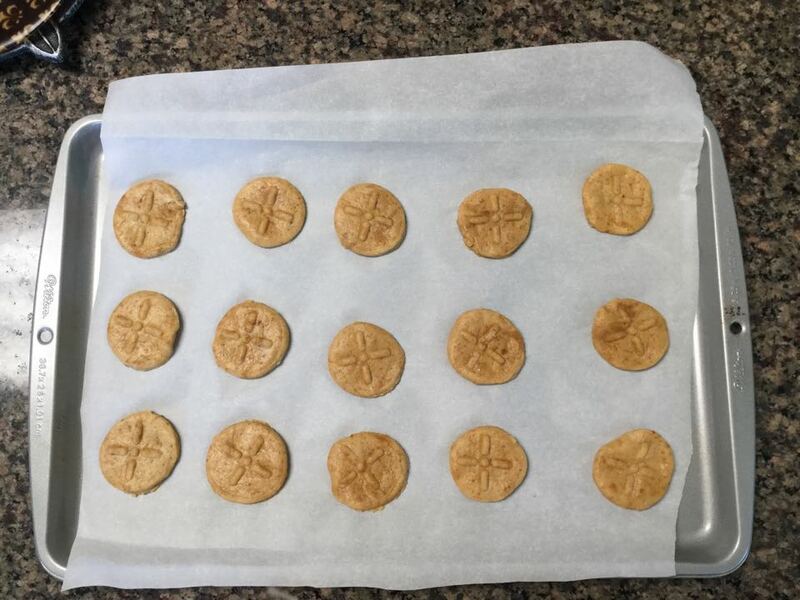 Use a cookie cutter to cut the dough into desired shape and place on an ungreased baking sheet. Thanks to Brittany Mullins at eatingbirdfood.com for the recipe! Posted by Katie Atkins, Education Intern and Lauren Handley, Assistant Director of Education for Public Programs at The National WWII Museum. Yesterday was Donald Duck Day, in honor of one of Walt Disney’s most beloved characters, and a very special character for the Museum as well! Did you know that Donald Duck starred in some of his very own propaganda cartoons during World War II? It’s true! Between 1942 and 1945, Walt Disney was hard at work making propaganda cartoons for the U.S. government. In fact, Disney made cartoons for every branch of the military! The government looked to him more than any other studio head to help build public morale. Over 90% of Disney employees were devoted to the production of training and propaganda films for the government. Propaganda cartoons served a variety of different purposes. They were often used to boost morale on the home front and to encourage the public to support the war effort. Many beloved characters, including Donald Duck, Mickey Mouse, Daffy Duck, Bugs Bunny and Popeye set aside their entertainment shticks and instead urged audiences to band together and pool their resources to defeat the Axis. World War II really did call on every American to participate – even our cartoon characters! The New Spirit (1942). This cartoon was made to encourage Americans to pay their taxes promptly and fully so as to support the war effort. Donald, at first hesitant to fork over his money, eventually comes around and realizes how important his funds are to keeping the military stocked with ammo and weapons. Der Führer’s Face (1943). Donald has a terrible nightmare in which he wakes up in Nutzi Land, where he is forced to work himself to exhaustion for the Führer! This cartoon is named after a popular Spike Jones song of the era, which appears in the short, as sung by ridiculous caricatures of Goebbels, Göring, Himmler, Tōjō, and Mussolini. Don’t forget to check out Disney’s other propaganda cartoons, as well as cartoons from other beloved studios such as Warner Brothers, MGM, and Paramount!